December 6 - City of Paris signs off on our local liquor license. December 11 - Stouts of Champaign began working on the main floor flooring. December 16 - Work begins on the basement to prepare for the walk-in cooler and kegs. December 19 - The old windows were removed from the front facade. December 21 - The first batch of glassware arrived. December 23 - The floors are finished and bEaUtIfUl! 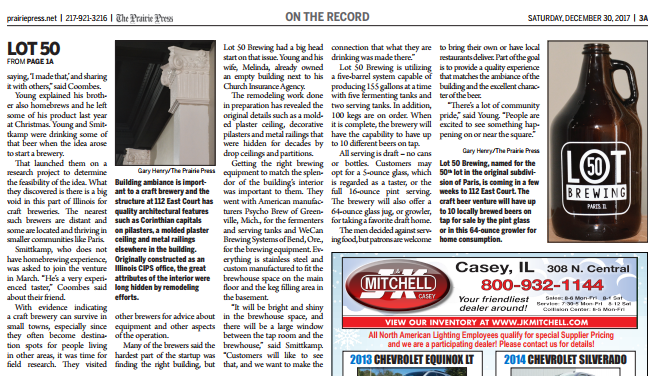 December 26 - The bar was moved into the building. January 7 - Basement floor is complete. January 8 - All heating and air work is complete. Thank you to White Sheet Metal! January 10 - Met with Randy and Leatha Brown to discuss the design of our front sign. January 14 - Fermenters are delivered by Herrington Trucking straight from PyschoBrew in Michigan! January 20 - Dan Sass and Alan Morrison began work on the concrete counters for the bar. 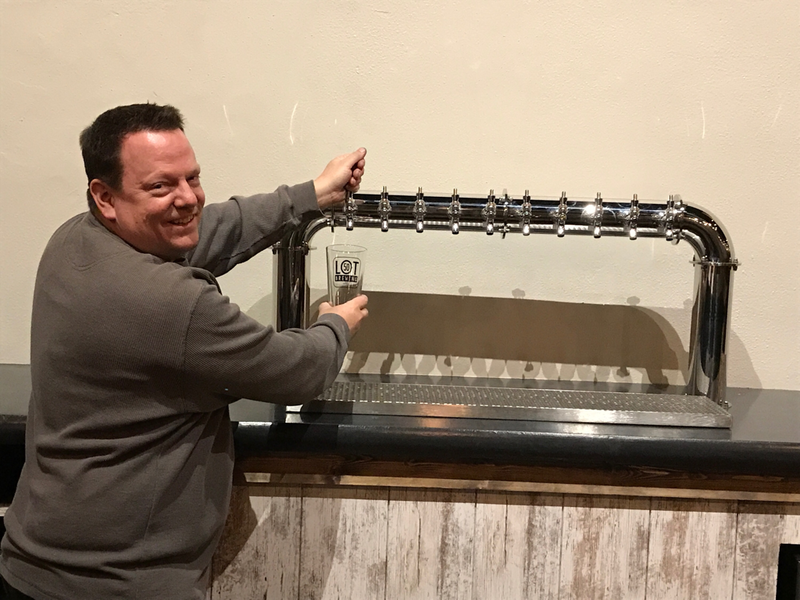 ​February 5 - Our 10 tap system is installed. 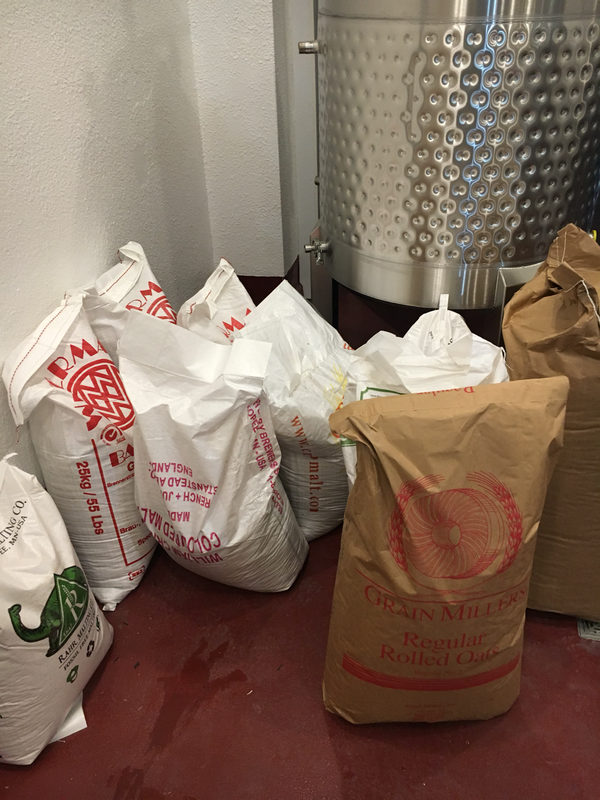 February 6 - Our first shipment of grains arrived. 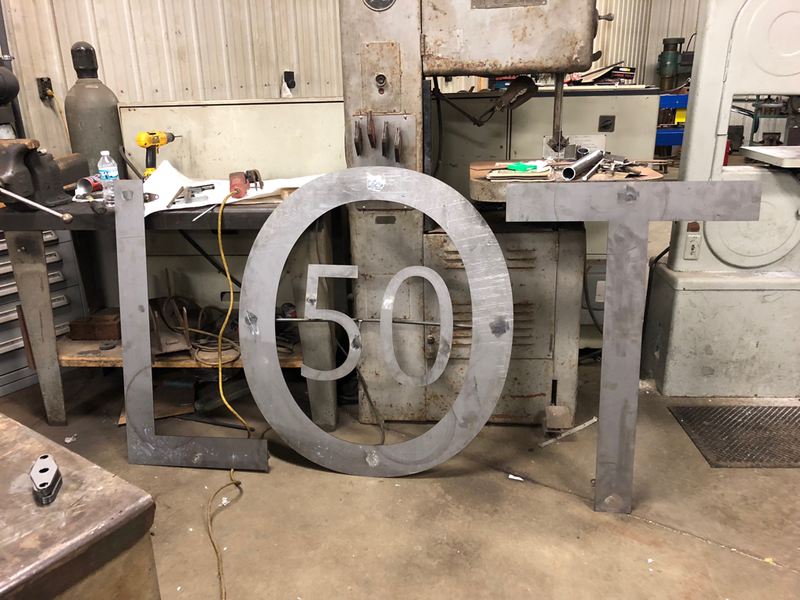 February 21 - The steel sign is done and ready for a black powder coat. February 22 - Walk In Cooler hooked up by Jay Trover. February 23 - Touch Tunes installed. March 3 - Mission Control for the brewhouse is installed and operational. March 7 - Picked up our amazing metal signage from Randy and Leatha Brown. 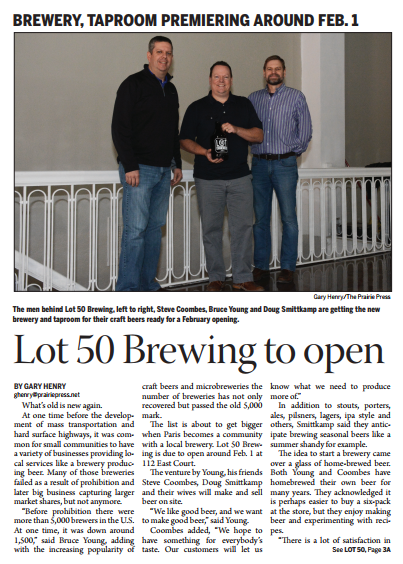 March 19 - A new sewer was dug for Lot 50 Brewing by B & T.
May 27 @ 1:30 - We flipped the CLOSED sign to OPEN! We are now open our regular business hours!